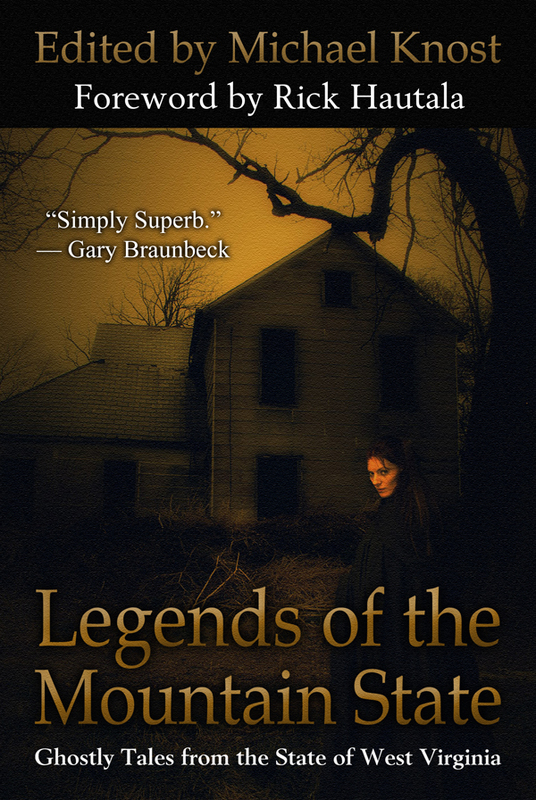 Legends of the Mountain State: Ghostly Tales from the State of West Virginia is an anthology of thirteen tales surrounding known legends and ghosts in the state of West Virginia. You can pre-order this book by following this link. You’ll get five dollars off the retail price and free shipping. The timing of this pre-sale is perfect for the Halloween season. You can show your pride in your state and scare the bejesus out of yourself at the same time. Thomas F. Monteleone is a 4-time winner of the Bram Stoker Award, the highest honor for writers in the horror genre. He has written television scripts for American Playhouse, George Romero’s Tales from the Darkside, and a series on Fox TV entitled Night Visions. He is also the author of the bestseller, The Complete Idiot’s Guide to Writing a Novel. Tim Waggoner’s novels include Forge of the Mind Slayers, Darkness Wakes, Pandora Drive, The Thieves of Blood, the Godfire duology, Like Death, and A Nightmare on Elm Street: Protégé. He teaches creative writing at Sinclair Community College and is a faculty mentor in Seton Hill University’s Master of Arts in Writing Popular Fiction program. Kealan Patrick Burke is the Bram Stoker Award-winning author of Currency of Souls, The Turtle Boy, The Hides, Vessels, Midlisters, Ravenous Ghosts, and The Number 121 to Pennsylvania, and the editor of the anthologies: Taverns of the Dead, Night Visions 12, Brimstone Turnpike, Quietly Now, and Tales from the Gorezone. He lives in Ohio with his wife, and son. Scott Nicholson is the author of six Appalachian Gothic thrillers, including They Hunger and The Farm. He was a 1999 winner of the Writers of the Future award and a finalist for the Bram Stoker Award. As a journalist in the Blue Ridge Mountains of North Carolina, he has won several state press association awards and has written a number of writing articles. He is also the current vice-president of the Horror Writers Association. Joe Nassise is the author of the internationally best-selling series, The Templar Chronicles. He’s a Bram Stoker Award and International Horror Guild Award nominee, as well a former president of the Horror Writers Association. He lives in Arizona with his wife and family. Bev Vincent is a contributing editor with Cemetery Dance magazine, the horror industry’s standard. His first book, The Road to the Dark Tower, an authorized companion to Stephen King’s Dark Tower series, was published by New American Library in 2004 and was nominated for a Bram Stoker Award. He co-edited The Illustrated Stephen King Trivia Book with Brian Freeman for Cemetery Dance Publications. Mark Justice is the author of Bone Songs, a collection of stories from Delirium Books, Deadneck Hootenanny (Novello Publishers) and, with David T. Wilbanks, Dead Earth: The Green Dawn ( PS Publishing). He also hosts the nationally-recognized radio program Pod of Horror. He lives with his wife and cats in Ashland, Kentucky. Geoffrey C. Fuller is a very successful published author living in Charleston, West Virginia. He has several books out by national publishing houses, and is an editor for Writer’s Digest Magazine. Michael M. Hughes is an up-and-coming writer in the horror genre with his first novel in the works for this year. He went to college in Elkins, WV and spends many weekends in Great Cacapon and Berkeley Springs. He lives in Baltimore with his wife and daughter, where he writes fiction, lectures on paranormal topics, and performs as a mentalist. Jude-Marie Green is an author of science fiction, fantasy, and horror. She is also an assistant editor (and review columnist) for Noctem Aeternus Magazine. She lives in Southern California with her cats and books. Brian J. Hatcher is a writer, poet, oral storyteller, actor, magician, fire eater, and indy wrestling manager from Charleston, West Virginia. Trent Walters is a science fiction, fantasy, and horror writer. His work has appeared in The Golden Age SF anthology, Electric Velocipede, Lady Churchill’s Rosebud Wristlet, Pindledyboz, and BSFA’s Vector. He lives in Lincoln, Nebraska. Marta Murvosh is a journalist in Northwestern Washington. She is an up-and-coming writer of science fiction, fantasy, and horror. I love that quote from Gary. Can’t wait to read the other stories. Hello…I Googled for bernard fox, but found your page about Homegrown Horror…and have to say thanks. nice read.